A Torch Against the Night is the sequel to Sabaa Tahir’s first fantasy book, An Ember in the Ashes. This review contains spoilers for the first book, but not for the second. Elias and Laia have brought down Blackcliff Academy and are on the run from the Commandant. They decide to strike out towards Kauf Prison to try to free Laia’s brother, but it’s a race against time – the Commandant is slaughtering Scholars by the dozen and the new Emperor has sent out his new Blood Shrike, Helene, to find the fugitives. I found An Ember in the Ashes to be a horrible blood bath. I discussed my dislike of the level of violence with Philippa in our podcast Ep 27. The second book was still brutal, but perhaps not quite so graphically violent. There are still people (including children) who are tortured and killed, but the violence doesn’t feel quite so gratuitous. An Ember in the Ashes was told alternately from Elias and Laia’s points of view. In A Torch Against the Night, Helene is added to the narrators, telling of her growth into the role of the new Emperor’s Blood Shrike. Poor Helene is forced through some pretty harrowing events in this book, and my hope for her is that she is slowly growing into the woman of steel that will be needed to bring the Empire down. The one thing that really annoyed me about ATATN was that the awful love triangle from the first book is still hanging around like a bad smell. One moment, Laia is all moon-eyed over Elias, and the next, Keenan pops up and she is fawning over him again. Flip-flopping between love interests is a pet hate of mine, especially when Elias is so adorable. It might sound like I didn’t enjoy reading this book, but I actually did! It was very nice to get out into the world and away from that awful school and its brutality, even if the whole story turned into a fast-paced hunt and chase. The settings were amazing, especially the terrifically creepy prison. I had chills when they were approaching it! 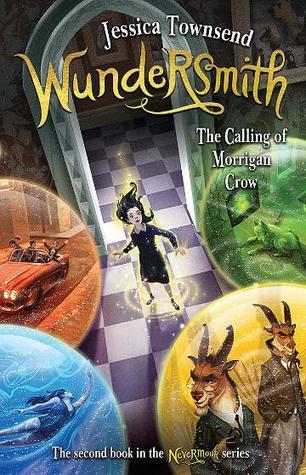 Overall, this second book had more magic, more world-building and more fast-paced action. And best of all, it didn’t end on a huge cliffhanger! I’ll be interested to see where the story goes from here. Now that you point it out (because I am so totally black and white when I love a book), the whole love triangle thing was very annoying. Mostly I just wanted Keenan to get out of the picture and stop taking up space. I thought Laia’s thing with him was lame and unnecessary and like always, I’m just waiting for my people (Elias and Laia) to get their act together! I liked the first one and loved this one and am turning into Team Helene all the way. I like seeing her turn into an important character in her own right and think she is going to become and remain a total badass. Fingers crossed! Thanks Tracy. I agree about Helene! She has such an awful time in this book – I hope her ‘remaking’ is as awesome as we hope it will be. Yesss, I’m glad to hear you enjoyed this Angelya, even though there was still heaps of violence in this one. That love triangle sounds really annoying though. I’m looking forward to reading this soon!